Nawaal Akram aspires to be the role model she looked for – but didn’t find – as she was growing up in Qatar. The 17-year-old Pakistani expat was diagnosed with muscular dystrophy when she was four years old. The genetic condition means that she now gets around Doha in a wheelchair, but this restriction hasn’t limited the scope of her ambition. 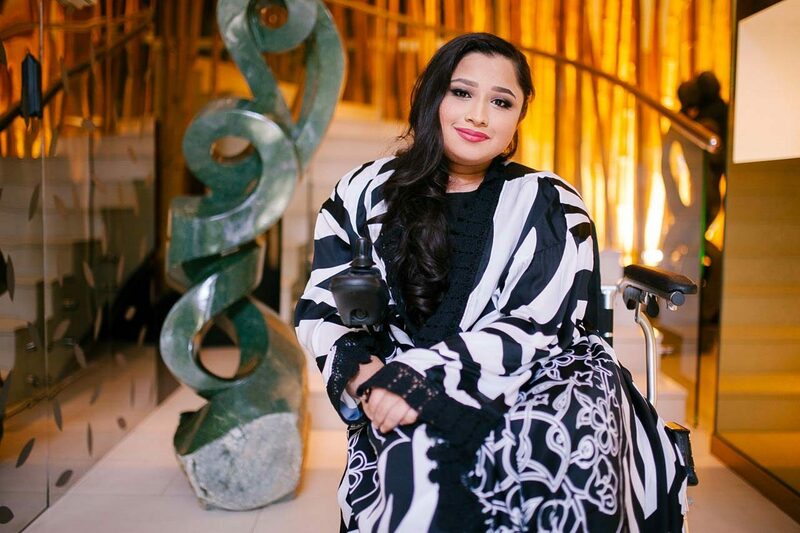 Despite leaving formal education when she was 10 years old, Akram is now a stand-up comedian, Paralympian in training and founder of the support group Muscular Dystrophy Qatar. Her journey to get to this point has been far from straightforward, however. Akram was born in Doha, and Qatar is the country she calls home. Although she said that opinions here are changing rapidly, she grew used to people making fun of her in public as she was growing up. “Before I was in a wheelchair, I would walk, but I walked in a different way, and people would mimic me in public. They would make fun of me, and chatter about it loudly to make sure that I could hear what they were saying. At school, Akram was once pushed down the stairs by another pupil. “Kids are cruel,” she said, acknowledging that some of her friends were very understanding. She believes others were less so because they were not told about – or exposed to – disabled people by their parents. She said that she feels many people in Qatar are uncomfortable around people with physical challenges because they rarely see them in public, or in the local media. She added that she considers herself “physically challenged” rather than disabled. Akram told Doha News that as a child, she would sometimes see men with disabilities out and about in Qatar, but no women. “I wanted someone I could look up to. 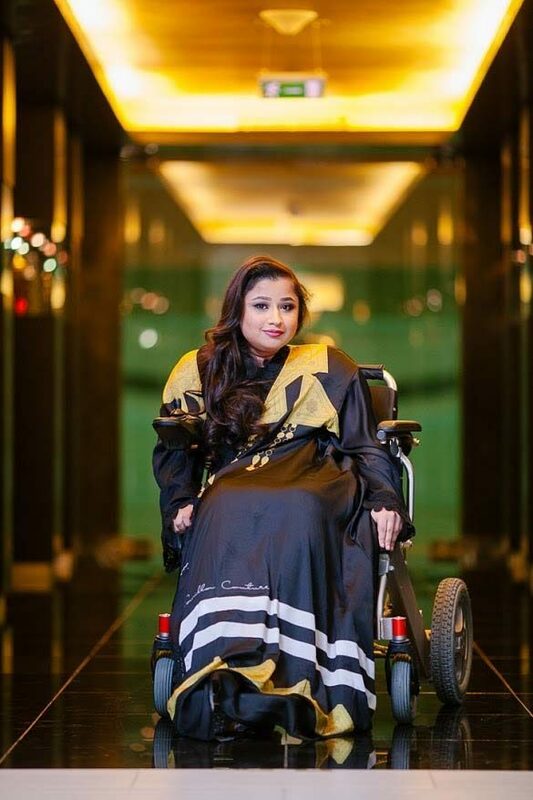 I thought, I can’t be the only girl in a wheelchair in Qatar,” she said. Motivated by a desire to find others in her situation, Akram searched online, but she said couldn’t find the role model she was looking for. Akram’s decision to put herself forward as this role model was driven partly by adversity. At the age of 10, her British curriculum, international school told her parents that she could no longer attend. “They told my parents the teachers couldn’t handle it, that they didn’t want me to be there because they couldn’t provide the facilities I needed,” she said. Akram’s parents initially considered legal action, but decided against it when, according to Akram, the school threatened to expel her siblings if they were taken to court. Her mother and father then found out that while Arabic speaking disabled kids are able to access education at the country’s publicly-funded Independent schools, Qatar’s private English speaking schools were not so willing. As a result, they resorted to private tutors to continue Akram’s education. Despite their best efforts, the situation made her feel depressed. Keen to get out of the house and to forge her own path, Akram began volunteering. A stint at Mada, a local non-profit organization that helps provide people with disabilities in Qatar with technology to improve their quality of life, taught her about the power of social media. By “all of this,” Akram means her budding media and sporting career. Taking to the stage with the SUCQ comedians has allowed her to challenge people’s perceptions, she said. She added that comedy allows her to raise serious topics in a safe environment, to provoke discussion and debate. “People laugh at it, and they also realize, we need to fix this problem,” she said. Akram is also motivated by a desire to take on sexist attitudes that she said she regularly encounters in Qatar. “Recently, I’ve had lots of conversations with men here, and they are not ok with me being in the media. They were shocked that I’m female, I’m disabled and I’m Muslim, and I’m doing all this. Akram said that her parents are fully supportive of her career choices – “they want me to gain knowledge, they want me to learn new stuff,” she said – and that she hopes to make comedy a permanent job. 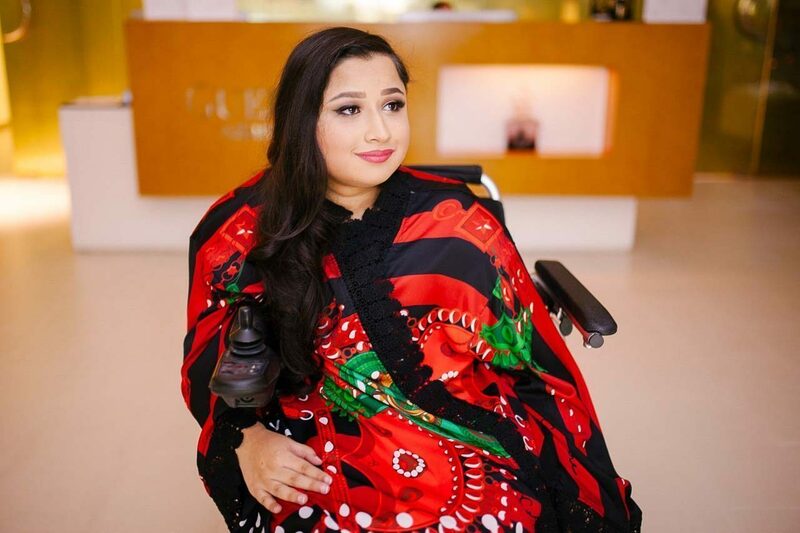 She’s also keen to develop her love of acting, and to register her support group, Muscular Dystrophy Qatar, with the authorities when she is 18, and therefore legally old enough to do so. She hopes the group will encourage other MD sufferers in Qatar to come forward and meet each other. Health-wise, Akram is very unsure about what the future will bring. She has been diagnosed with Duchenne Muscular Dystrophy, a condition associated with rapidly deteriorating health in its male sufferers, but which affects its rare female sufferers very differently. Akram is hoping that her condition will remain stable enough for her to achieve another future goal – to get married, and then perhaps, if she is able, to have a family too. Whatever her personal future brings, Akram hopes that by speaking out, attitudes towards physically challenged people in Qatar – “a country which is like home, literally” she said – will keep changing for the better. “I want my home to be accepting and loving of everyone,” she added.